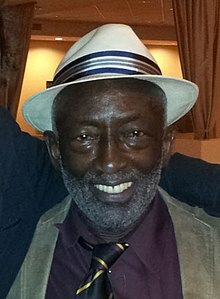 Garrett Gonzalez Morris (born February 1, 1937) is an American comedian, educator, and actor. He was part of the original cast of the sketch comedy program Saturday Night Live, appearing from 1975 to 1980. ↑ Bob Michals (January 3, 1985). "Things Are Beginning To Look 'Berry Good' For Garrett Morris". The Palm Beach Post. Retrieved May 24, 2010. This page was last changed on 27 August 2018, at 02:26.